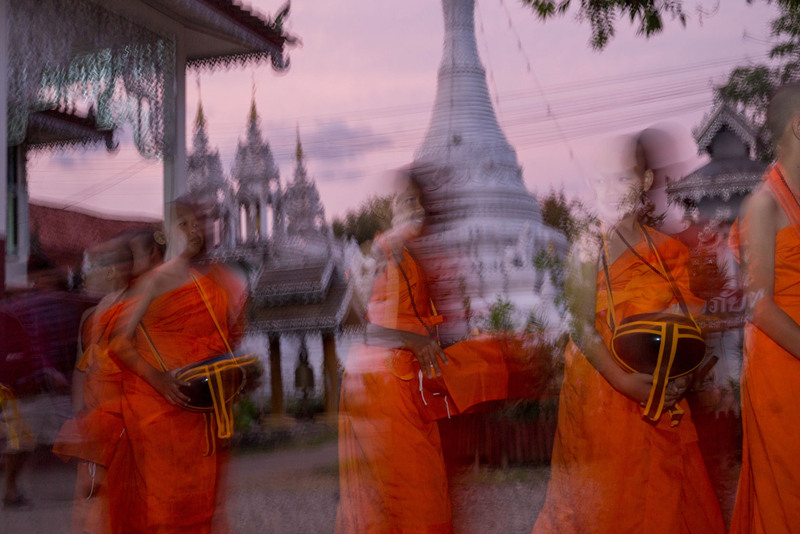 When the Shan people fled Myanmar’s civil war to seek refuge in neighboring Thailand—itself already home to a large Shan community—they brought with them their Buddhist faith and their unique traditions, including the ceremony known as Poy Sang Long. 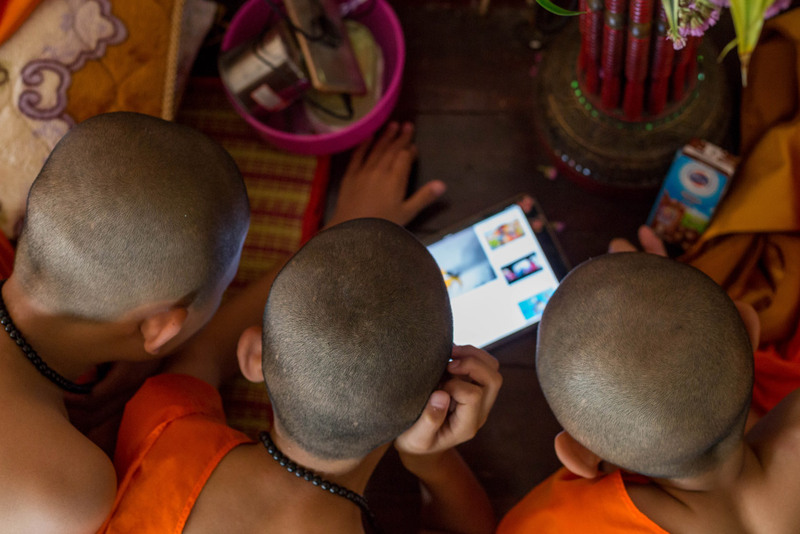 One of the largest and most important Buddhist ceremonies in Shan culture, Poy Sang Long is a rite of passage for Shan boys, who as early as age seven are ordained as novice monks and introduced to the study of Buddhism. 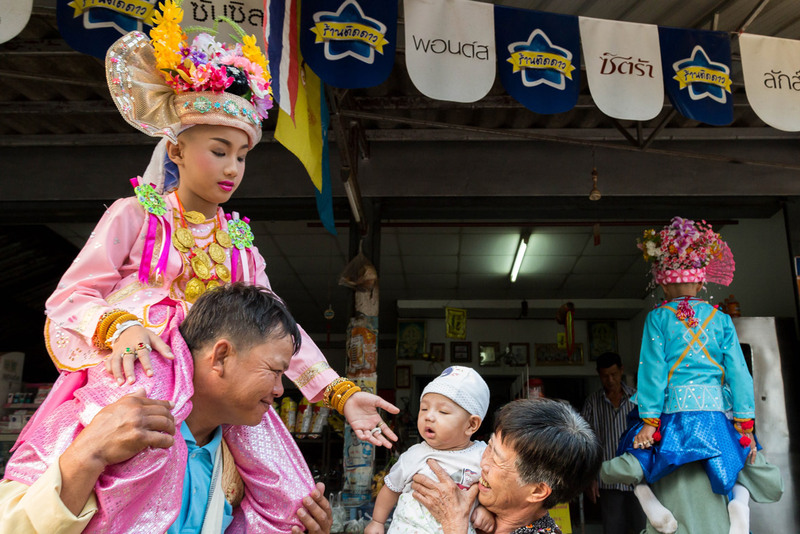 We visited Mae Hong Son province, the northern Thai province that’s home to one of the largest populations of Shan people, to learn more. 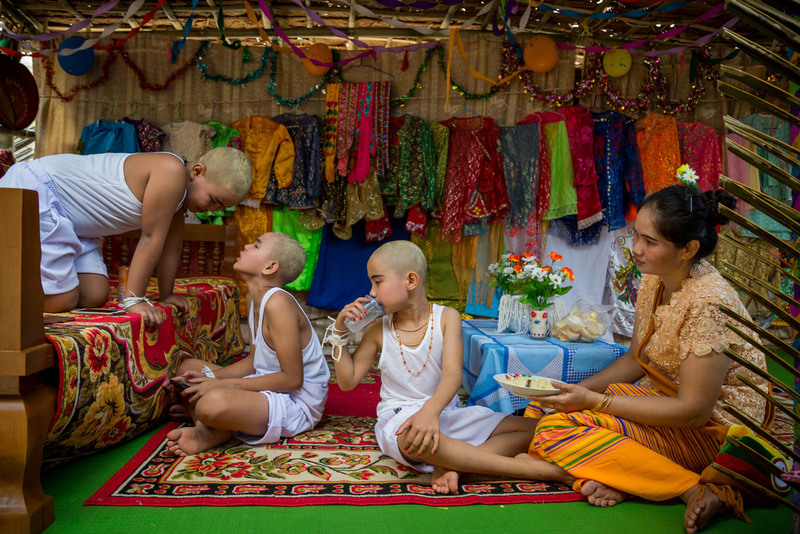 One day before the ceremony begins, the boys have their heads shaved in turn by their parents, their relatives, and Buddhist monks. 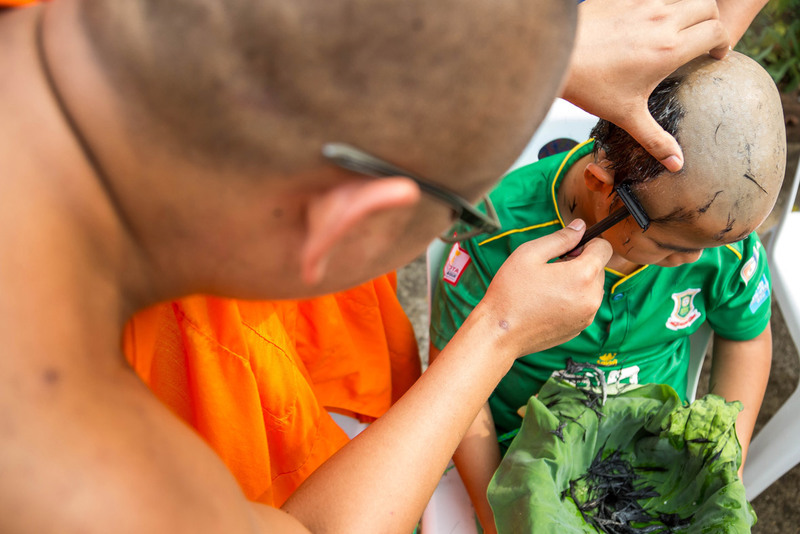 They are then bathed in water, and yellow thanaka powder is applied to their heads and bodies. 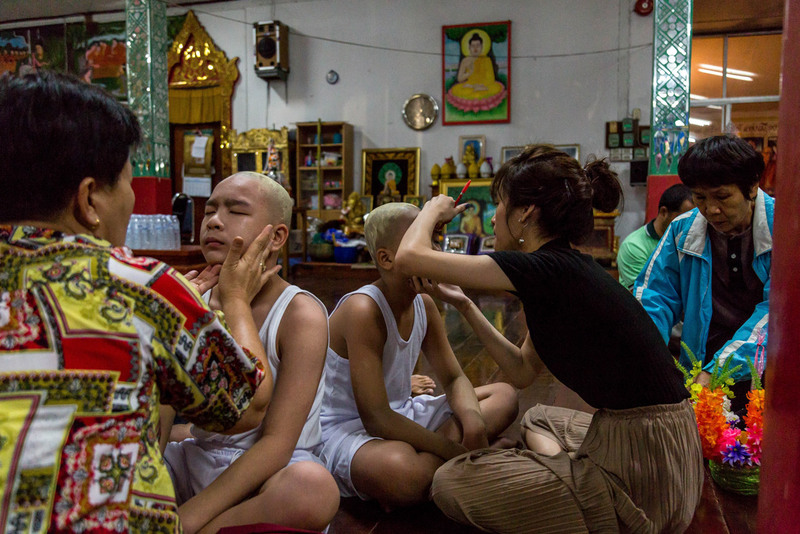 On the first official day of the ceremony, the boys don a traditional costume and have their faces painted with a heavy makeup. 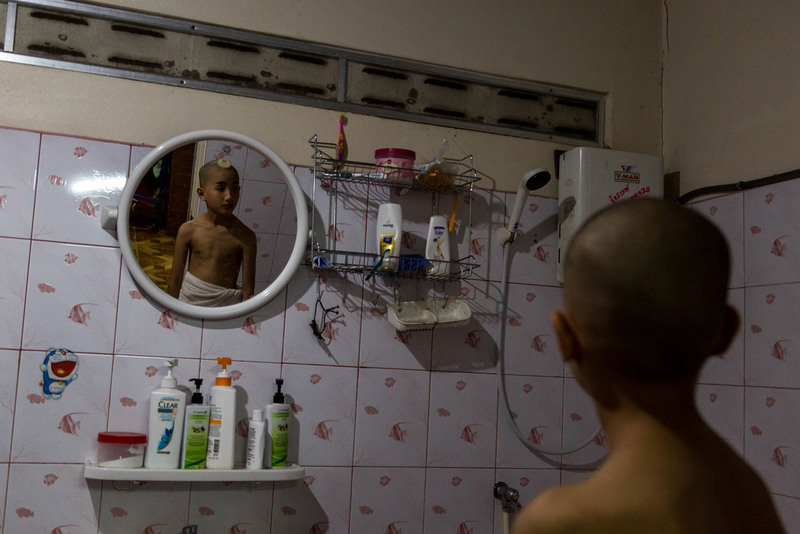 These lavish adornments are intended to make each boy look like a prince, like Buddha before he began his ascetic life. 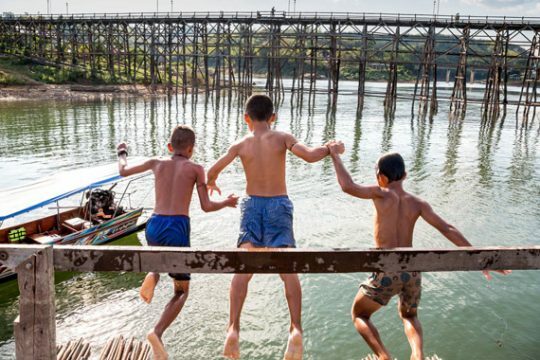 Once ordained, the boys, or sang long, are considered sacred, and their feet may not touch the ground, and they are carried by a servant, or ta pae sang long, anywhere they need to go. 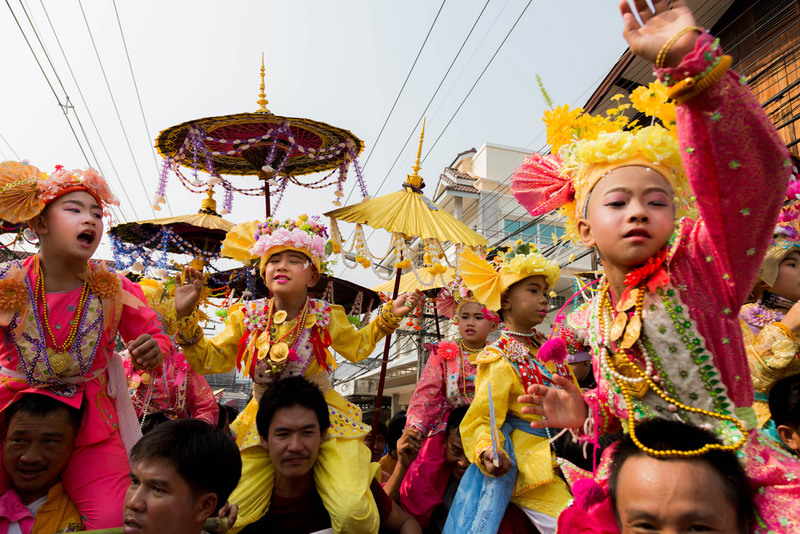 Riding atop the servants’ shoulders, the boys visit important community figures and nearby elderly relatives to ask forgiveness for their sins. 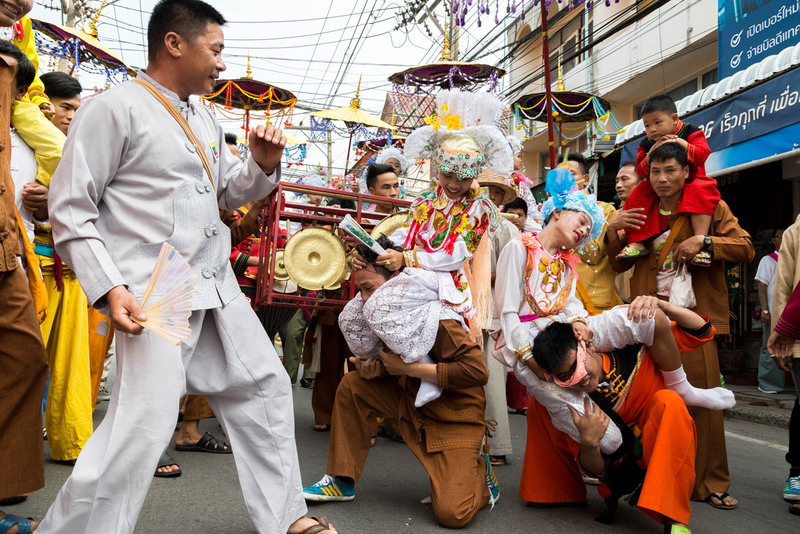 The sang long parade occurs all around the town to celebrate this rite of passage. 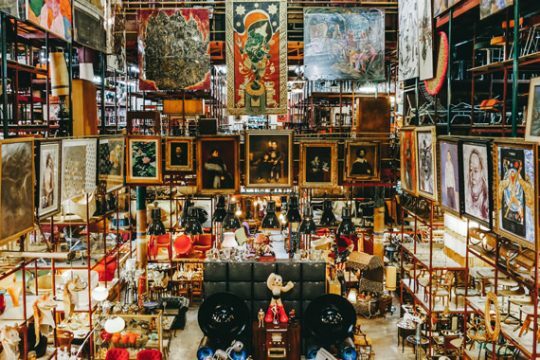 It’s a loud and joyous affair that lasts throughout the day. 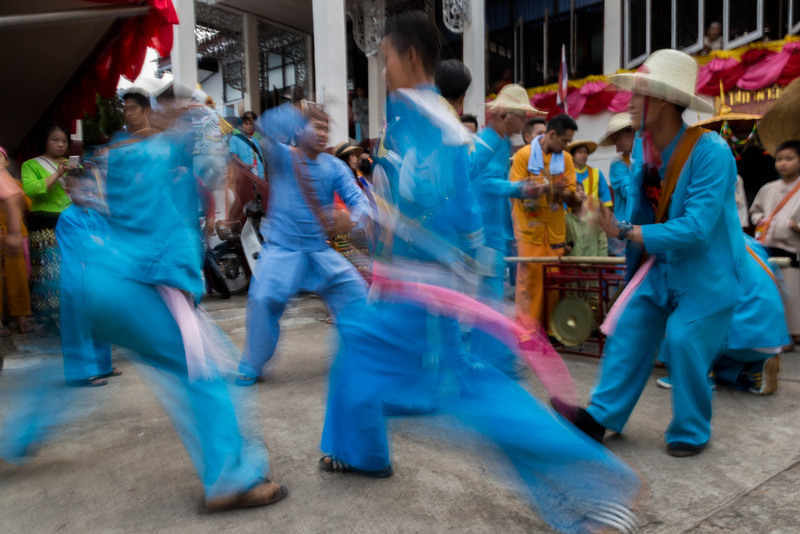 Following the parade, the boys are blessed in a ceremony called the hong kwan. 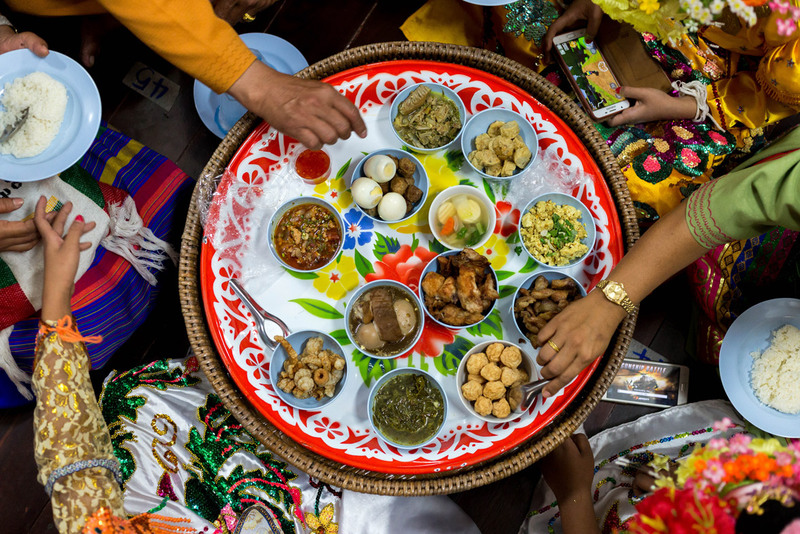 They then eat a special meal of 12 dishes that have been prepared by their parents. This is the final night of their sacred status. 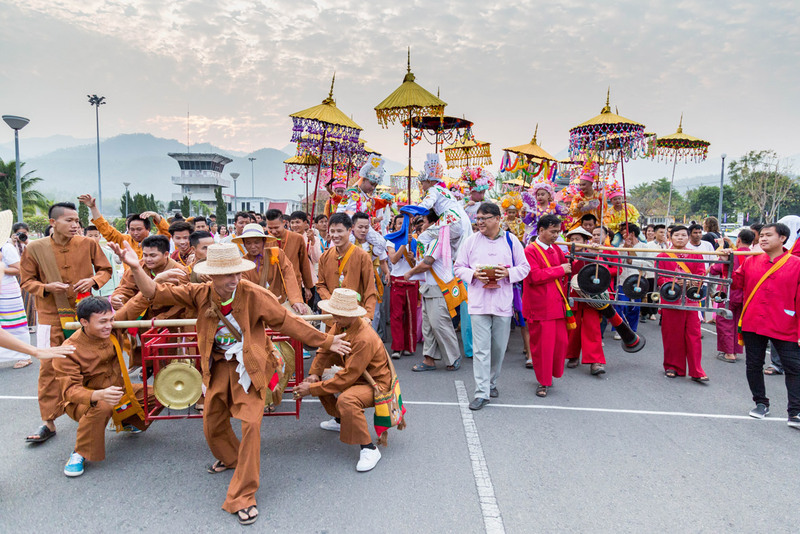 On the last day of the festival, the sang long intone a special psalm to accept their new status as novice monks. 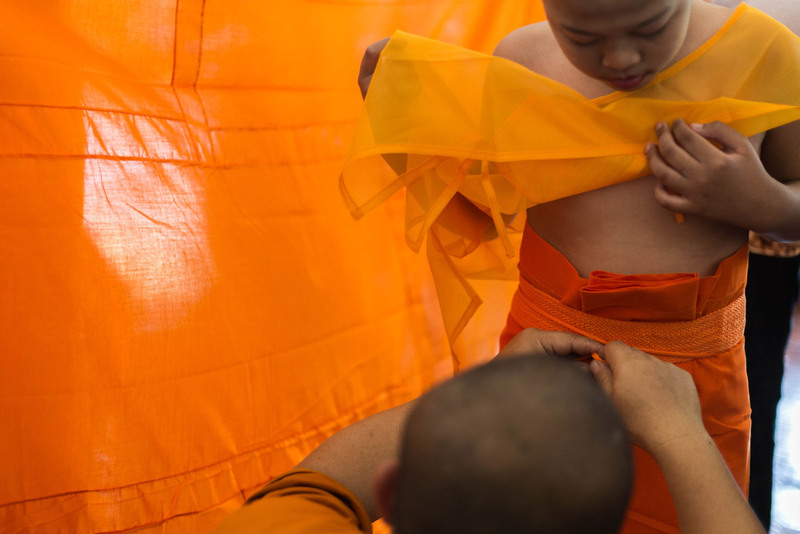 Next they shed their colorful garb in exchange for a humble monk’s robe. 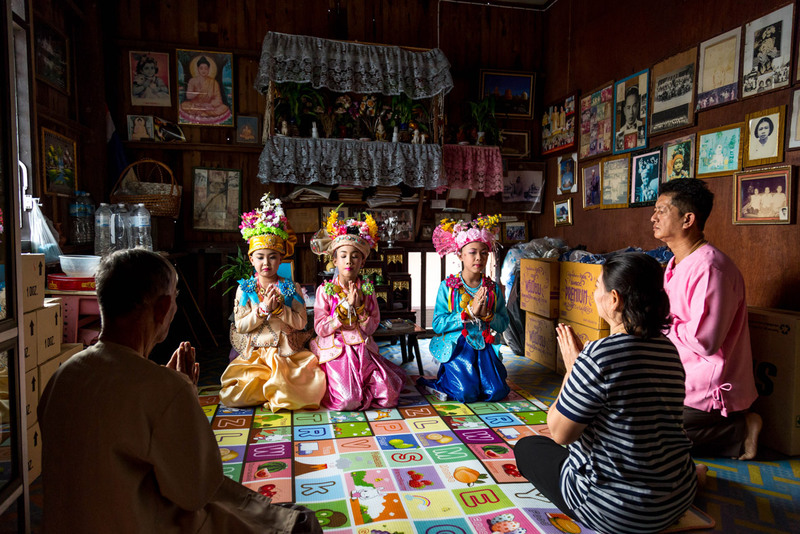 This is when they officially join the temple, leaving behind the status of sang long as they dedicate themselves to studying Buddhist teachings. 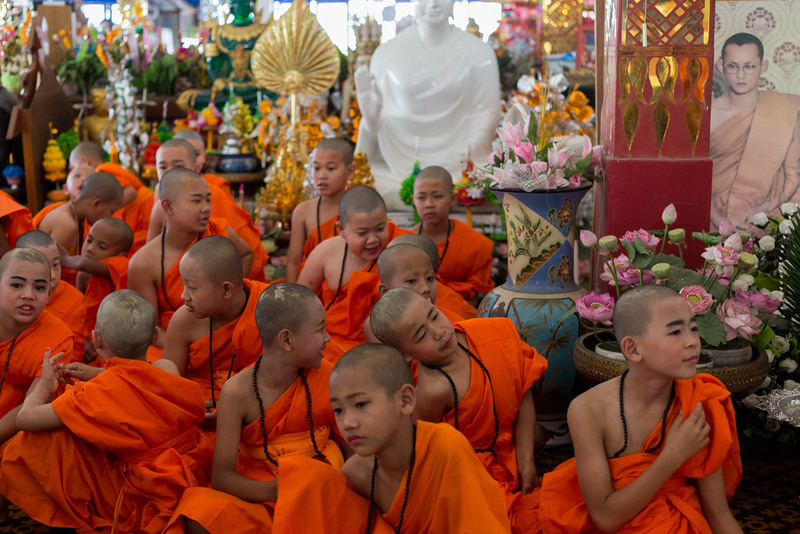 With the conclusion of the ceremony, most of the boys will stay at the monastery for a minimum of a week, but some may stay longer, even upwards of several years.